← Do you want to use a Germanic feature, or do you prefer using a Celtic one? Recently I was asked to speak at the memorial service for Francess Halpenny — a true powerhouse in Canadian publishing. 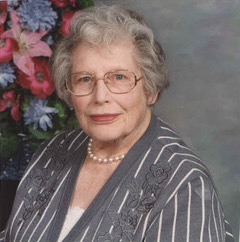 In the course of her long life, she was head of the Editorial Department at University of Toronto Press (UTP) during its “golden years,” general editor of the Dictionary of Canadian Biography, dean of the Faculty of Library Science (now Faculty of Information) at the University of Toronto, and associate director of UTP. She is probably the most decorated person ever in Canadian publishing, having been named a Companion of the Order of Canada and a member of the Royal Society, awarded the Molson Prize, and granted 11 honorary doctorates in all. One of the other speakers at the service declared her an “academic rock star”! Francess hired me straight out of graduate school for my first job in publishing. Our initial interview involved a wide-ranging discussion, friendly and low key. She reputedly had an eagle eye for potential and talent: most of the people she hired went on to make lifetime careers as editors, and some reached the heights of the publishing profession in locations across Canada. As head of the department, Francess had very high standards. She expected editors to do whatever was needed to make a text as good as it could be, whether that involved structural, stylistic or copy editing. I don’t think she ever used those terms — we were simply editors. Every morning a file containing all the previous day’s correspondence circulated among us, and we young hires quickly gleaned from the letters the senior editors sent to authors how to question, coach and communicate with them tactfully yet persuasively. As we worked on our particular manuscripts, we learned not to rewrite but to edit in a way that produced a clearer, more incisive version of the original text. On one occasion Francess called me and another young colleague into her office and said, “I don’t want to see you two leaving the office at the end of the day with manuscripts in your bags.” She went on to explain that editing was a profession that could completely take over your life — days, evening, weekends. The trick was to apply yourself diligently during the work day, but to spend your free hours with other interests and friends, broadening your cultural base and keeping your mind fresh. That was exactly how she lived her life: she was a successful actor and director with the University Alumnae Dramatic Club, an avid supporter of concerts, museums, art galleries and her local United Church, and a well-seasoned traveller during vacation time. Another day Francess noticed that an author had thanked me personally in his acknowledgments. She bustled into my office and told me I should edit myself out. Her reason? It takes more than the editor to produce a book. Designers, production staff, publicity and sales people are also part of the team, she said, and, if the author is grateful, he should thank the publisher. She had a good point. A few years later when I resigned from my job to go freelance and be home with my children, she grudgingly allowed that having lost my institutional connection, I would probably need those acknowledgments to establish my reputation. Previous post from Rosemary Shipton: There’s No Clarity With Editors or Authors. Rosemary Shipton was the founding academic coordinator of the Publishing Program at Ryerson University in Toronto where, for 20 years, she taught substantive and copy editing. Over her career, she has worked in-house for scholarly and trade publishers and continues with her own writing and editing business. In 2012, Trinity College, University of Toronto, gave her an honorary doctorate for her contribution to publishing in Canada. Her article “The Mysterious Relationship: Authors and Their Editors” was published in Darcy Cullen, ed., Editors, Scholars, and the Social Text (University of Toronto Press). 12 Responses to "An Academic Rock Star’s Advice for Editors"
Thank you, Rosemary, for sharing your memories of this publishing giant. You have been a mentor to so many talented Canadian editors. It’s fascinating to hear a little about YOUR mentor. I like the bit about acknowledgements. I was interested to learn when first introduced to book editors that they were supposed to be invisible. I worked in education quite often, where “inclusion” was the culture. So I got acknowledged, along with almost everyone who touched the document in any capacity. I often wished I hadn’t been acknowledged because the fairly messy product that eventually emerged was not really in my control. I wish that too, Rosemary. As past president Rosemary Tanner puts it, this crew likes to fade into the wallpaper. Rosemary and/or Anita, does the word “project” whisper to you from the last couple of comments? Do we need a book, blog or other online publication that gathers the stories of Canadian editors through the ages? The format would depend on the level of interest. With an e-book, a selected group of people could be asked to contribute to a well-balanced collection of essays. A blog would be more democratic – anyone could join in the conversation and keep it going for as long as they wished. But everything would depend on a wide swath of people wanting to make that happen. From what I see on the various editing chat groups, people love to comment on questions about grammar or expression or difficult clients, but there is seldom any discussion of larger issues about editing or the profession of editing. I’m not sure why that is, but if people want to comment, I’ll be most interested in the replies. Go, Frances. But I don’t think any of us can compete with Stet by Diana Athill. I like the idea of a collection of essays by Canadian editors. Most of the books about editing and publishing are American. Two recent titles that come to mind are The Business of Being a Writer, by Jane Friedman, and What Editors Do, edited by Peter Ginna. Both are University of Chicago Press titles, and the content is exclusively American. Apart from our own Editing Canadian English, the only comparable Canadian title is The Complete Canadian Book Editor, by Leslie Vermeer, which provides good coverage of the publishing process but from the limited perspective of one author. Personally, I didn’t have the advantage of working for a publisher. I came to editing later in life, after working for over fifteen years in public relations (and a short stint as a reporter at The Whig-Standard). I live in Kingston, and so I had to rely on learning online. It took me ten years on and off, but I managed to complete the Certificate in Publishing at Ryerson, and I’m graduating this spring! Editors Canada has been a lifesaver, because it connected me to the larger world of editing and editors. I’m now one of the coordinators of Editors Kingston and the developer and instructor of WRIT 265: Editing in Academic and Professional Contexts, an online course at Queen’s. I have plenty of work for university presses and indie authors (memoir). So it is possible to become an editor without the usual in-house experience. In the new publishing environment where so few editors have the opportunity to train and work in house, Ellie, you’ve mapped out a good route and you’re reaping your rewards. By completing a graded program at a respected university, you’ve benefited from the feedback of many excellent instructors, so you can rightly have confidence in the quality of your work. And by working for both traditional publishers as well as indie authors, you again know from the professionals that you’re meeting their standards. Congratulations on your graduation this spring! A rock star, indeed! Francess Halpenny sounds like a wonderful human being, as well as the brilliant editor she so clearly was. She knew about work life balance before the rest of us learned the hard way. I especially like her view of editing as a combination of all of the above. This is also how editing works for many of us who work outside the publishing industry. Our clients need something of everything an editor can offer. Sometimes in one brilliant pass. As for essays by Canadian editors, I read and really enjoyed every word of Editors, Scholars, and the Social Text. Which is not to say that we couldn’t also benefit from more books by and about editing in Canada. I agree, Virginia – editing is not an easy profession if you do it well. To fill all our clients’ needs we should have an excellent broad education, some specialized knowledge, diplomacy, persuasive powers, writing talent, ability to work as members of a team, self-discipline to work alone, logical minds, creativity … the list goes on. It would be really interesting to hear about some of Canada’s great editors, but on the whole, editors are self-effacing and don’t seek the limelight. So how will we ever know? Virginia, could you do a review of Editors, Scholars… for this blog? It sounds like something all of the readers should be introduced to.